Fishing guide Mickey Cunliffe has a phenomenal reputation among anglers. You’d have to be great for Tall Timber to feature you. If you’re heading up to northern NH, consider connecting with Mickey. His Instagram is here, and his email is mickeycunliffe@gmail.com. Tell us a little bit about yourself. Where were you born and raised? Your family? I grew up in Henniker, NH, a small town in central NH. My dad was an artist and tutor at the local college and lived on a 100-acre hill. My brother and I grew up cutting firewood, sledding in the woods and carving in my dad’s workshop. My mom and stepdad lived across town on an apple orchard that just so happened to sit on a rarely-fished, lily-pad-edged pond full of largemouth bass, pickerel, sunfish, and perch. This was when I first found the beauty in solitude; the feeling of being out on an empty body of water, waiting for the sun to rise and listening to all the morning noises are things I will cherish the rest of my life. 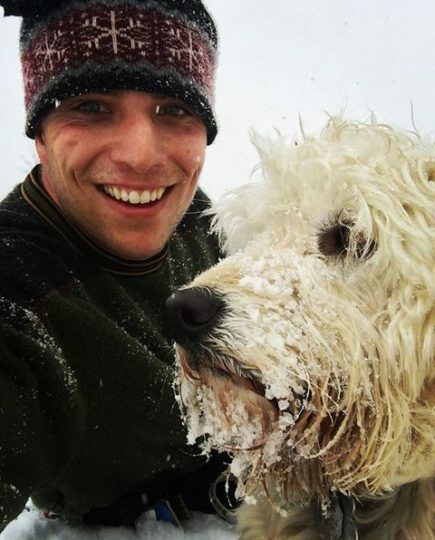 After graduating with a business degree from the University of New Hampshire in 2013, I spent the next three years teaching in northeastern China. My first time living in a massive city was quite the shock. Not many fishing opportunities. So, every few months, I would organize a fishing trip to keep me sane. I went for trout in South Korea, Japan, and Mongolia. Some trips were more fruitful than others (I never saw a fish in Mongolia!). 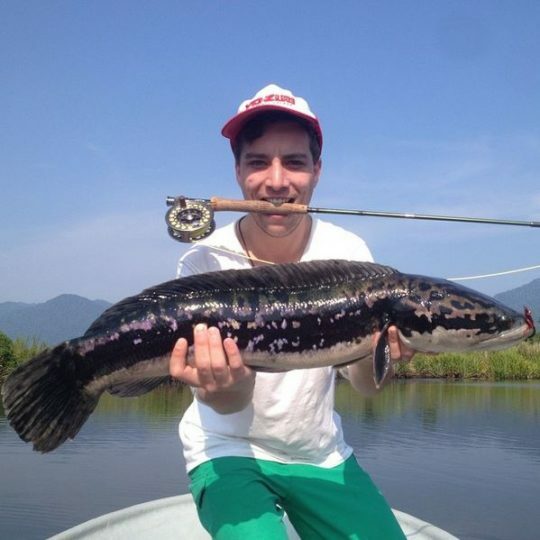 I then moved onto the jungles of Malaysia and Cambodia, where Peacock Bass, Snakehead, and Jungle Perch were on the menu. One of those Jungle Perch was the last fish I’ve caught and eaten. After I ate my way through the city’s noodle and BBQ joints, I figured my time in China was up. Couldn’t have been more than a day or two after back in NH before I was wading into familiar waters in Pittsburg, waiting for that TUG. In short, my family. Although neither of my parents fishes, both encouraged my passion for fishing and the outdoors in general. They saw at an early age how much fishing meant to me and did their best to help me grow as a fisherman. It was my Nana, however, that got a fly rod in my hands for the first time on a trip out to Boulder, CO, when I was eight. She had a guide take me out on some of the local waters. I vaguely remember wet wading in Tevas and my Mickey Mouse hat, but I clearly remember the first time I had a trout rise up and take my dry fly floating down a slow riffle. As most of you know, that was all it took. Fishing in the Malaysian jungle was an experience I’ll never forget. Fishing in new environments is hard to beat, being surrounded by monkeys, birds galore, monitor lizards the size or kayaks and the largest snakes I have ever seen. We were sight fishing for Snakehead, either looking for them surfacing to breathe (yes, breathe), or trying to spot clusters of baby Snakehead where their mothers were always laying just below ready to ambush anything that came near. What is the best way to improve as a fly fisherman? Try to spend an equal amount of time on the water with other anglers as you do by yourself. You can learn a lot by watching how and where other people fish. Take a fishing buddy to your favorite pool and see how he/she approaches it. It is also very beneficial to have someone watching you fish. They can see things you can’t. Whether it’s something a little off with your cast or a fish rising out of your field of view, it can be helpful to have an extra set of eyes on the river. You also want to set aside some “me time” where you can put some new techniques to practice. I find it much easier to dial in when I’m fishing alone. I become more in tune with the river and my casting, helping me figure out where I am going wrong with my cast and what to do to fix it. What is your favorite style of fly fishing? It’s a rare day when I am not ripping a streamer past boulders or off of banks. There’s constant action in streamer fishing that I’ve yet to find in other styles. You’re always doing something: casting, mending, stripping, pausing, stripping…building up the anticipation until you finally feel the line tighten. What is your go-to rig? Rod/reel, fly line, leader, tippet, etc.? For streamer fishing, I’ve been using an Orvis H3 six-weight. It’s a blast. I’ve landed some strong trout in strong currents that I would not have been able to control as well if I had a five-weight. I also was able to wrangle in my first Northern Pike in NH on it a few weeks ago using a popper. It held up really well. When streamer fishing on the Upper CT, I’m usually using Orvis Depth Charge line (200 grain) and adding a few feet of Maxima Chameleon tippet material (6# to 10#). What is the best way to learn fly fishing? FISH. FISH. FISH. Get out as much as you can. Watch other anglers. Ask questions! Your top flies for the Upper Connecticut in Pittsburg? Your favorite presentation and/or technique when nothing else is working? 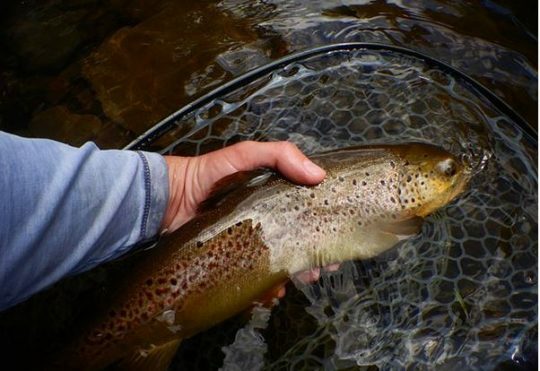 Casting upstream and stripping a streamer downstream can entice some of the more tight-lipped fish in the river. I’ve also found it to be a good technique for fooling those lunkers who are sitting down on the bottom along a bank. Think of a spooked baitfish scared into swimming downstream. Thank you, Mickey. See you on the water! Nice post Jo! Did you and Jamie run into him on the river when you guys went up? What’s the advantage of Maxima Chameleon tippet? I have not used it before. Anyone else out there that advocates for it? 5lb test enough for trout fishing? I don’t see too much of an advantage although I have friends who swear by it. I use Rio tippet and do just fine. It makes pretty good sighter material though, especially if you tie your own leaders. Maxima is a great, generally cheaper alternative to buying ‘big name’ tippet when throwing streamers. A lot of guys will use it to hand tie short four to six foot leaders instead of buying them – a spool is about 4 dollars. My euro leader is tied with maxima as well. 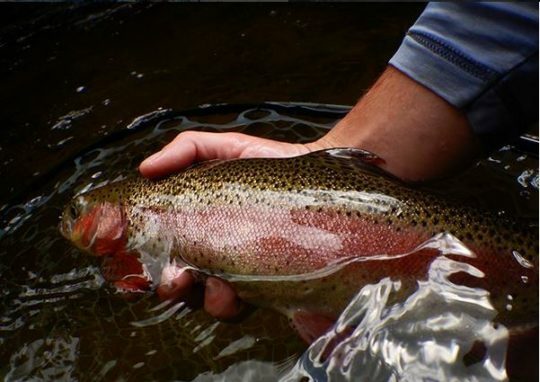 5lb fluorocarbon tippet is typically around 4x (unless you’re using Cortland Ultra Premium), which is more than enough for most trout fishing situations – streamer fishing I’ll go to 3x when throwing bigger flies.